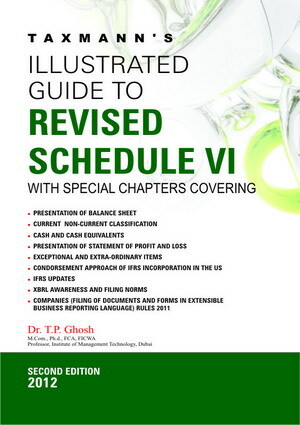 This illustrative Guide Book has been developed to discuss primarily the techniques of current non-current analysis but enlarged to cover related emerging issues in corporate reporting like XBRL Filling, Management commentary, Developments in IFRS convergence. The book is authored by Dr. T.P. Ghosh, Professor, Institute of Management Technology, Dubai. The book is modestly priced at ` 775 and is a must buy for the person responsible for preparing Balance Sheet of the Companies, Chartered Accountants, Company Secretaries and Corporate Accountants.